Fact of the day: over 50% of consumers turn to Amazon first when searching for products online. It’s become one of the largest search engines in the world and one which Google considers as their biggest search competitor. It’s no secret that Amazon’s ad business is soaring and is set to challenge Google and Facebook. But advertisers often say its reporting interface still has a lot to improve. What if you could report and analyze your Amazon campaigns as easily as with Google Ads or Facebook Ads? Today, we’re happy to announce a brand new Amazon Ads connector for Vendor Central, something many of you have requested. Our goal is to make the experience of analyzing and reporting Amazon Ads campaigns seamless for Amazon advertisers. 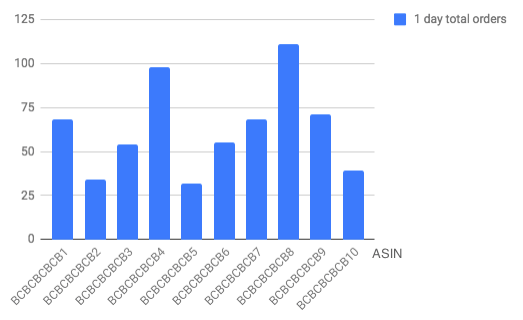 From this article, you will learn what the Amazon Ads connector (for Vendor Central) is and how you can use it in Google Sheets and Google Data Studio. In the end, you will get two actionable reporting templates: one for Google Sheets and one for Google Data Studio, which will help you kickstart your journey with this new connector. The key difference between Vendor and Seller platforms is in the nature of companies selling via Amazon and in different ad formats. Vendor Central is intended for wholesalers who sell batches of products to Amazon. Seller Central is focused on sellers who themselves define the price for their products and sell them one by one. Amazon Vendor Central provides three reporting formats: Sponsored Products, Sponsored Brands (formerly Headline Search) and Product Display. Two of the three formats, Sponsored Products and Sponsored Brands, are available in Seller Central as well. Amazon UI provides downloadable reports for only two reporting formats: Sponsored Products and Sponsored Brands. Our Amazon Ads connector supports only those two report formats as well. The current connector can only report the Vendor Central data, however, a connector for Seller Central is on our development roadmap. Successful paid campaigns on Amazon offer benefits beyond increases in paid traffic and paid conversions – they also help boost organic rankings. As a product sells better, its page gets a better position in the search results. In order for the vendors to know how their campaigns are performing and make relevant adjustments, Amazon Ads data should be properly analyzed and reported. Below we will explain in more detail how you can analyze your Amazon campaigns and what kind of reports you can build in Google Sheets and Google Data Studio. In the native Amazon UI, brand, campaign and keyword data is all scattered across different report types. In practice it means that in order for you to combine all the metrics together in a single dashboard, you would need to download and merge together multiple Excel files. 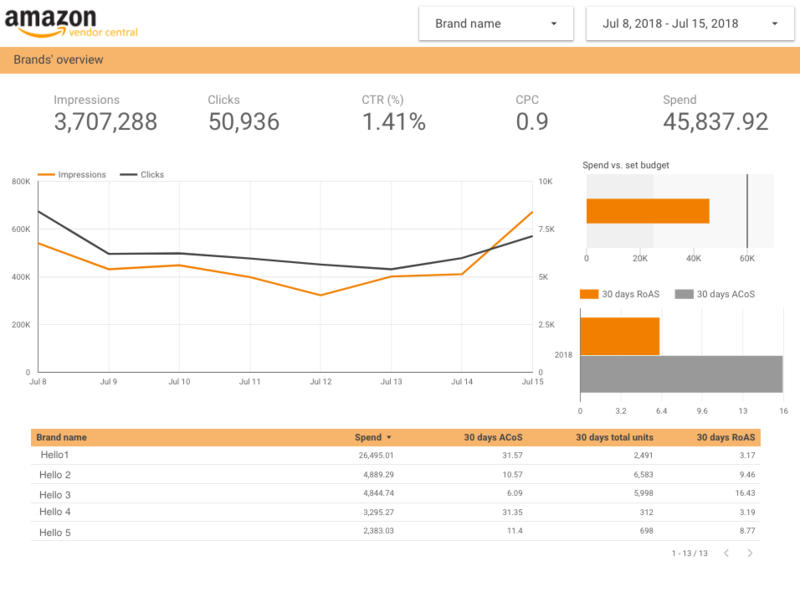 With our Amazon Ads connector you can easily see how each individual brand, campaign, or keyword is performing, all the data neatly organized in a single dashboard in a few clicks. In addition, you can perform a cross-campaign product performance analysis: compare the conversion windows of the same product across different campaigns. For example, you can see that after clicking on an ad in campaign A users order product X within 7 days, and after clicking on an ad in campaign B users order product X within 1 day. Uncover the power of Vendor Central reporting in Google Sheets with our Amazon Ads connector. You can easily analyze how your products are selling, what are the campaigns which result in the most product sales, how do your keywords perform and go as granular as you want in your research. If you don’t have the Supermetrics Google Sheets add-on installed yet, you can get it here. Amazon downloadable reports offer custom date ranges of no more than 3 months. 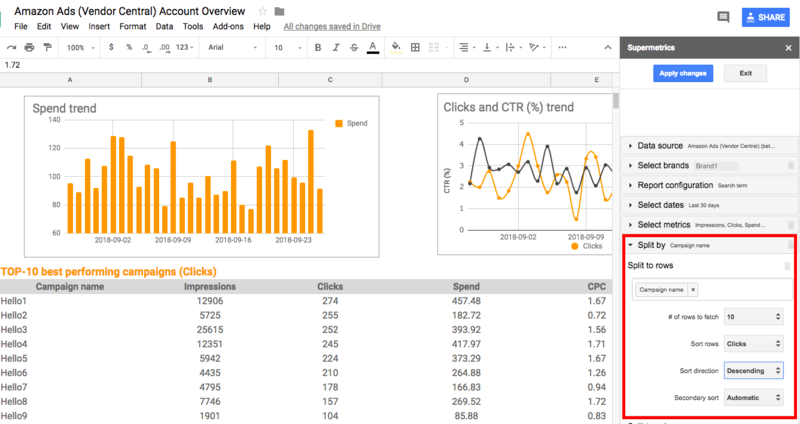 With the help of Supermetrics for Google Sheets, you can accumulate Amazon data and conduct historical analysis to see trends in marketing and sales metrics over a longer period of time. 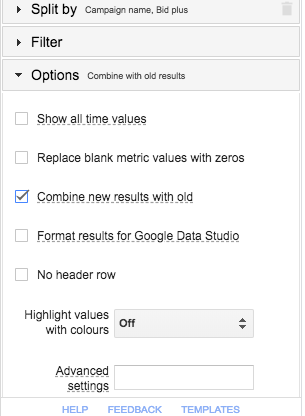 In order to start accumulating data automatically, select “Combine new results with old” from the “Options” section of the sidebar while building a query and set up an automatic refresh for it. Discover the untapped keyword potential, see which match type works best and how your current keywords are performing. For example, you can easily extract keywords which generate no sales to set them as negative keywords. Another tactic is to identify the keywords which are making sales at low cost and increase your spend on those. Take advantage of all the mentioned benefits in a single spreadsheet: try out Supermetrics Amazon Vendor Central reporting template for Google Sheets. At the top of the report, you can easily choose the date range and the conversion window with the filters. Next, there is a high-level overview of the most important metrics, including Impressions, Clicks, Spend and Sales. In addition, you will see a few charts comparing your ACoS to RoAS, showing your Spend trend and Clicks vs. Impressions. At the bottom of the report are your 10 best performing campaigns, search terms and keywords lined up. 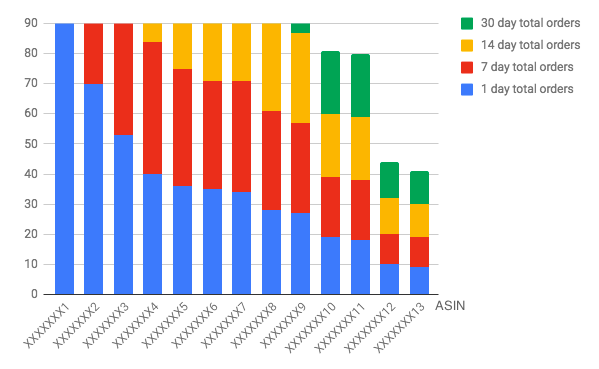 This template is incredibly easy to use and tweak: just add it from the Supermetrics Google Sheets Template Gallery which can be opened directly in Google Sheets after you have installed the Supermetrics add-on. If you would like to see your worst-performing campaigns instead of the best-performing ones, for example, simply modify the query in the sidebar accordingly. Our Amazon Ads connector for Data Studio allows to create visually beautiful reports which provide a great overview of each Amazon brand you are marketing. You can easily pull together data from multiple report types. Want to get a beautiful Amazon Data Studio dashboard straight away? We provide an Amazon Ads reporting template, with which you can track the key metrics for your brands, see which campaign has the best ROI, and dive deeper into keyword performance. If you want to use this dashboard, simply choose “Use the default template” option when connecting Supermetrics Amazon Ads Vendor Central Integration. Please note that this template does not work for all the report types. Amazon Ads Vendor Central is a great platform for vendors to promote their products. It’s an excellent way to reach online consumers with high buying intent. Vendors capitalize on that by running paid ads to capture the moment of truth. If you want to deeply analyze your campaigns or build insightful reports, however, you would have to download and merge multiple Excel files, which is boring, time-consuming and prone to human error. Our newly released connector allows you to effortlessly pull any Amazon Ads data you need. You can now create reports which equal and exceed the Amazon UI, check the trends of your campaigns, analyze the top performing ones or spot problem areas in low performing ones for campaign optimization. If you’re already a Supermetrics user, give it a try to take your Amazon marketing to the next level! Or start a 14-day trial in Google Sheets, Google Data Studio or even both to see how Supermetrics can help automate your boring tasks and save hours of reporting time.